Thanks so much to everyone who participated in the Lost at Sea Scavenger Hunt over the weekend! We had a great turn out, and based on the comments, everyone seemed to have a good time. Jill Williamson has announced the winners of the Grand prize and bonus prizes on her blog today. Congratulations to the winners! I’ve sent the emails with details on how to claim your prize. If you didn’t receive an email from me, please let me know. There was something alive in that forest that Wilek didn’t trust. He led his people southwest, along a river, hoping at this point he might find the sea and his fleet waiting. 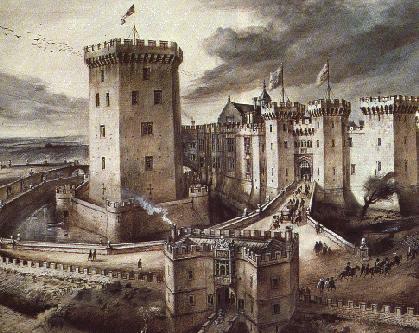 They came upon a castle on a grassy plain, Stop #14, Acktar, from Tricia Mingerink’s novel Dare, the first volume in The Blades of Acktar series. Tricia Mingerink is a twenty-something, book-loving, horse-riding country girl. She lives in Michigan with her family and their pack of pets. When she isn’t writing, she can be found pursuing backwoods adventures across the country. Visit Tricia on her website at www.triciamingerink.com. Here’s a closer look at Dare, the first volume in The Blades of Acktar series. Courage could cost him everything. Third Blade Leith Torren never questions his orders or his loyalty to King Respen until an arrow wound and a prairie blizzard drive him to the doorstep of the girls whose family he once destroyed. Their forbidden faith and ties to the Resistance could devastate their family a second time. Survival depends on obedience, but freedom beckons. How far does he dare go to resist the king and his Blades? No matter what Leith chooses, one thing is certain. If you’re looking for the ocean, you won’t find it anywhere near Acktar. It’s a land-locked country of rolling prairie for hundreds of miles in nearly every direction. Its northern border is the Sheered Rock Hills, a stretch of mountains covered in scrub pine and juniper. The Spires Canyon, a deep trench with the Ondieda River at the bottom, marks the eastern border. Beyond the northeastern corner of Acktar, a desert known as the Waste stretches in miles of dusty earth where even the water is too contaminated to drink. Acktar’s culture is a mix of American West meets Medieval. There are lords, ladies, and manor houses, but also western saddles, rattlesnakes, and mountain lions. Nalgar Castle, the only castle in Acktar, rises from the prairie near the center of Acktar. King Respen, a usurper and murderer, rules here with his Blades, his group of highly-trained assassins. Acktar is in the midst of a war between King Respen and the Resistance. If you’re looking to settle here, be prepared to pick a side and fight for it. You can order Dare and the rest of The Blades of Acktar series in paperback on Amazon, Barnes & Noble, Books-a-Million, or your favorite online retailer. They are also available on Kindle ebook and audio. The next stop on our map is Stop #15, Leira, on Gillian Bronte Adams’s blog. Before you move on, I am giving away your choice of a signed copy of one of the books in The Blades of Acktar to three lucky winners. This giveaway is open to international entries, but the books will not be able to be signed if international. Winners will be announced February 21. Follow the Rafflecopter link to enter. Thanks for visiting my blog. Enjoy the rest of the scavenger hunt!